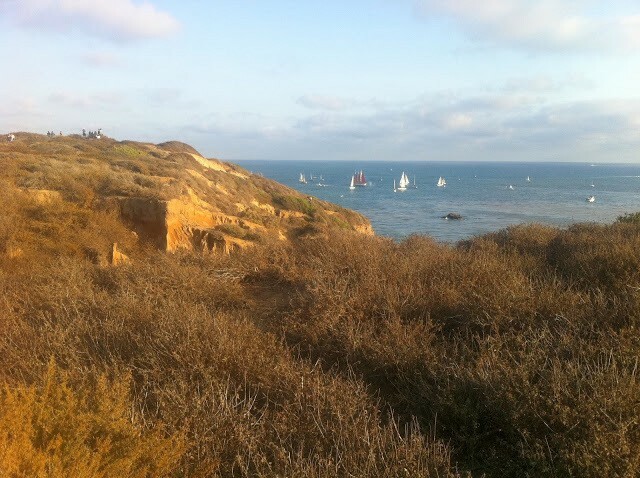 The Dana Point Headlands Trail is an easy hike from the Nature Interpretive Center in Dana Point, CA. To the end of the trail is roughly 10 minutes (or 20 minutes roundtrip). The trail is lined wire rope and there are plenty of benches for viewing the wildlife and sunsets. Depending on the time of year, look out for whales and dolphins. We enjoyed this hike for its stunning views. It’s not much of a work-out, but if you’re looking for a scenic walk along the Orange County coast, this trail is for you. 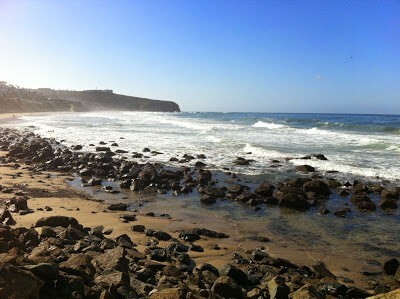 Adjacent to the trail, Strands is a beautiful beach to enjoy during the summertime. For more of a work-out, we took the Dana Point Headlands Trail to Dana Strand Road, which turns into Selva Road. Then, we took the Strands path to Pacific Coast Highway, made a right, and continued back to the Dana Point Nature Interpretative Center. This entire loop took us about 35 minutes to walk. The 405 becomes the I-5. Merge onto CA-1 N via EXIT 79 toward Pacific Coast Hwy. Turn left onto Blue Lantern Street. Take the 1st right onto Santa Clara Ave. Turn left onto Street of the Green Lantern. Street of the Green Lantern becomes Scenic Dr. Turn left to stay on Scenic Dr.
On the right, park at the Dana Point Nature Interpretative Center. Parking is free. There is a large public parking lot at Strands Beach. Or, you can park at the Dana Point Nature Interpretative Center at 34558 Scenic Drive. Parking is free and does not require a permit. Year-around: This trail is beautiful all year long. 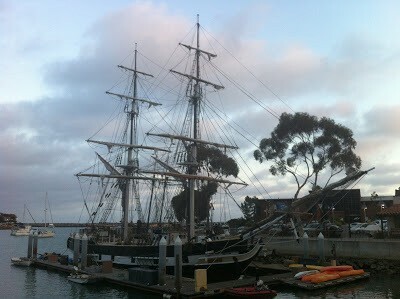 Dana Point has moderate weather of 60 – 80 degrees from summer to winter. A great time to do this trail is during the Tall Ships Festival, which occurs in the month of September. View of Dana Point Harbor below the Dana Point Headlands Trail. 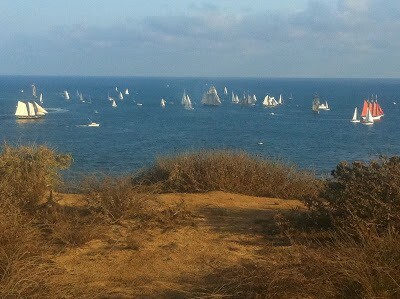 View of the Pacific Ocean during the Tall Ships Festival from the Dana Point Headlands. Dana Point Headlands from Salt Creek Beach. Have you been to the Dana Point Headlines? Share your experience with a comment below!